Delivering 25 grams of protein per shake*, Carb Killa® Shake is a high protein treat that has been designed to provide balanced complete sources of protein, while limiting the level of simple, processed refined sugars. Unlike many other shakes / smoothies, Carb Killa® Shake is unique in the fact it is low in carbs. Carb Killa™ is made using a specially selected baking process for exceptional taste resulting in a softer, crunchier texture. Carb Killa™ is high in complete proteins, low in impact carbs and loaded with tons of fibre. Carb Killa™ combines a thick layer of caramel, over a soft, chewy, base filled with crunchy "crispies" all coated in milk chocolate. Containing less than 1.5g of sugar and 1.5g of high impact carbs, making the bar itself an amazing 214 calories. 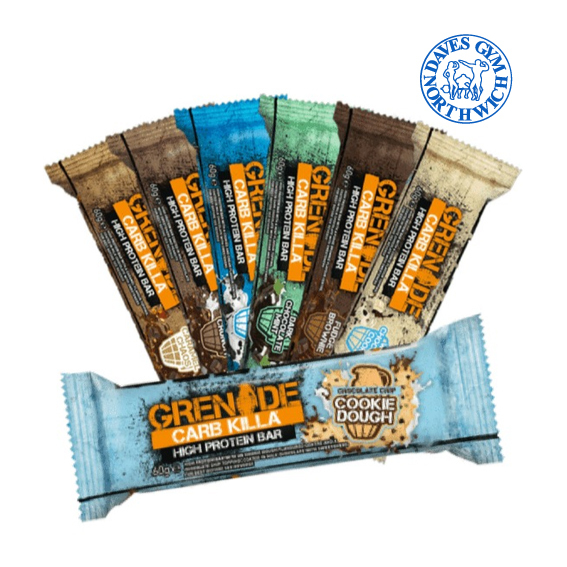 - 2x protein bites per bar, great for sharing and portion control. The Cookies & Cream bar is sure to satisfy any crazy, creamy craving. Nothing is more classic than cookies and cream, adapted from the most loved cookie in American history. Because for some reason, carrots just aren’t as satisfying as chocolate. Tired of eating bars that feel and taste like cardboard? In a blind taste test, this Caramel-Cashew protein bar won over the leading candy bars! This bar is far too gooey and chocolaty to compare to anything but the most decadent of desserts; and yet it has 20g of protein! Staying fit has never been this delicious. The Coconut-Choco bar is absolutely exploding with coconut flavor, wrapped in creamy milk chocolate and smothered in real coconut flakes. Because you shouldn’t have to fight an endless battle between eating what you love, and having abs. 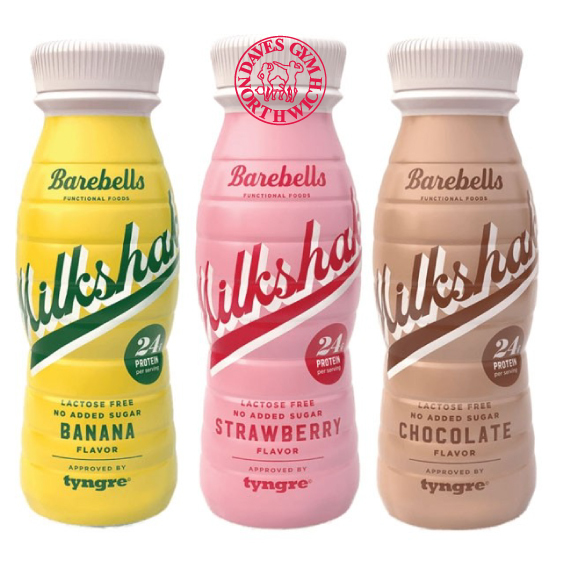 The Barebells Protein Milkshake is an incredibly delicious protein shake available in 3 flavours. They contain 24g protein and are lactose free and are completely free of added sugar! Barebells Protein Puddings are a protein-rich, ready-to-eat pudding with chocolate, strawberry, vanilla and coconut flavours! 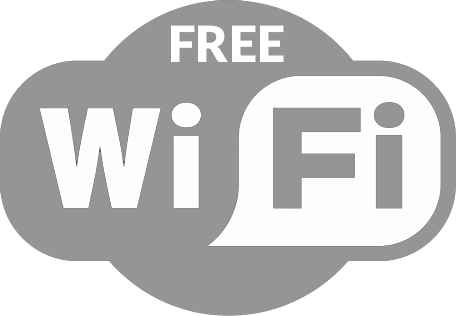 - Can be stored at room temperature. - Barbell's Protein Pudding is low lactose and contains 20 grams of protein per package. Of course without added sugar. - The product can be eaten, but the consistency will be the best when it's cooled! 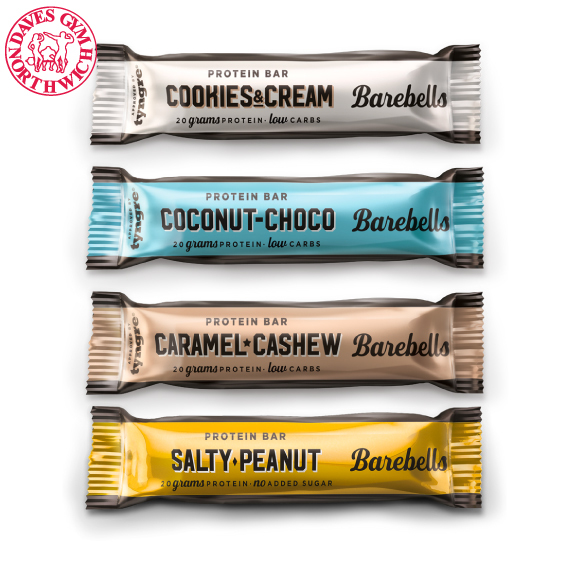 Barbells puddings are functional snacks that you can enjoy with good conscience. The new unique creation from nano a, appropriately titled Protein Pancake, is an individually packaged, pre-made pancake. It is packed full of protein, hence the name, but the excitement doesn’t end there. The real, freshly baked pancake snack is also filled with a sweet looking creamy center. The nano a Protein Pancake comes in two different flavors with Chocolate and Vanilla, both providing the same nutrition numbers. Nutrition profile is surprisingly lean featuring a protein to calorie ratio lower than most of the protein bars we know of. It also uses a simple combination of ingredients with egg yolk, no added sugar, whole wheat flour, and whey protein to give it that 16g of protein per pancake. Are you really serious about your snacks and your gym 'gainz'? Then this Mars bar's for you! Building on the success of the original Mars Protein Bar, Mars have stepped things up with an boosted-protein version! Yep, for just 30kcals more, your muscles will benefit from an extra 4g protein, and absolutely no sacrifice when it comes to the gorgeous caramel, milk chocolate and timeless choc fudge-nougat core and soft texture of the classic Mars bar! Introducing the NEW Snickers Hi Protein Bar by Mars. The NEW Snickers Hi Protein Bar now has 22g with the same delicious combination of nuts, caramel and chocolate with a soft nougaty centre! Perfect as a healthy alternative to the original Snickers bar, around training or on the go.